One thing you can say about the final CF is that it had a wonderful front cover – all thanks to Mike Roberts. Read his interview in our Q+A section (click the tab up the top!). 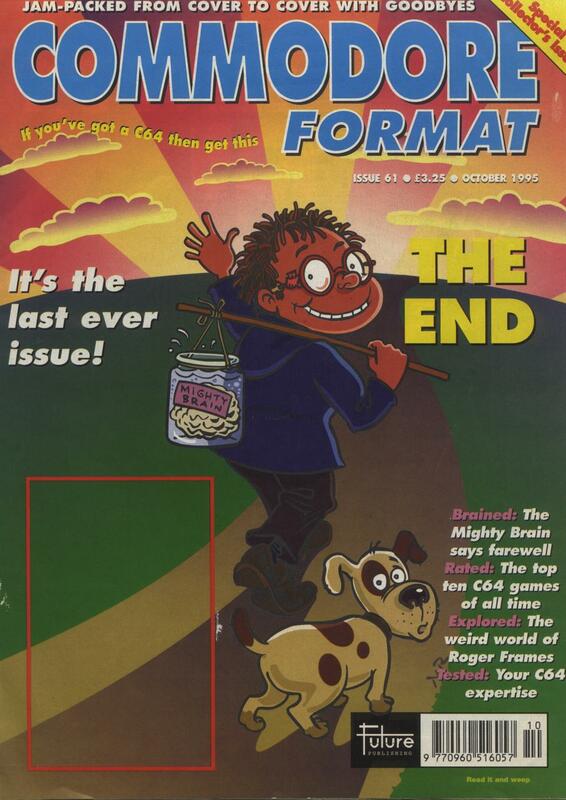 The very last issue of Commodore Format was dated October 1995. The last year of the magazine’s life was controversial – “it should have been killed months before”, Steve Jarratt told us in our exclusive interview. The price increased, the page count dropped to just 22, there was virtually no budget for the covertape and the paper was, as Simon Forrester remembers, “bog roll”. Unfortunately, there were also many production errors. As you can see explained in this letter, by the final three issues all freelance contributers had been dropped. Only Simon remained, writing every single word on a “bulk discount” contract. All of this was done to keep the magazine sustainable and alive – but the harsh reality is that the quality of the product was low. In retrospect, Future’s genuinely well intended attempt at keeping the magazine alive at any cost was a poor decision. It was a terrible end to what had been a wonderful run. Simon Forrester recalls the end of CF in our exclusive interview here. The world wide web was in its infancy at this point. The Commodore 64 boards that were online judged the final year of Commodore Format harshly – with readers mistaking the decisions of the faceless publishers for those of the more visible editorial team. 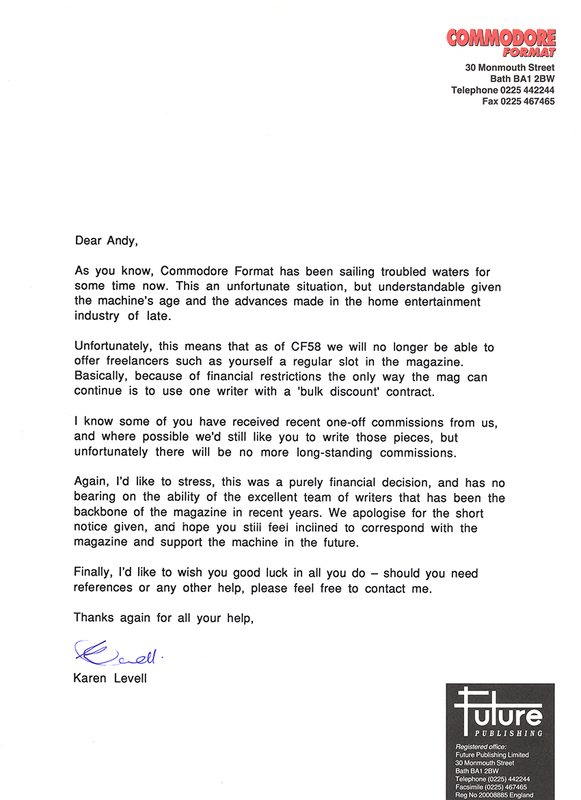 Simon Forrester was abused in one forum thread after turning up to apologise for the final three issues, while others fumed that they had been “lied” to by Future – supposedly, even when the final magazine was at the printers the official line was that Commodore Format would last “until at least christmas”. Meanwhile, here’s something from Commodore Zone on Commodore Format’s controversial final covertape.